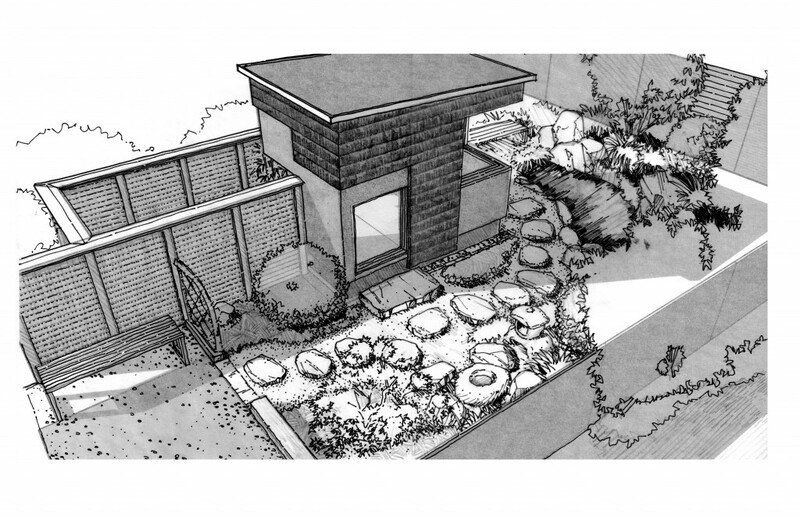 Unbuilt proposal. This set of Japanese tea house and tea garden is a small world by itself. The space and time in the garden are manipulated in a way that visitors feel as if they come far from the city. They feel mindful and restored in this retreat. 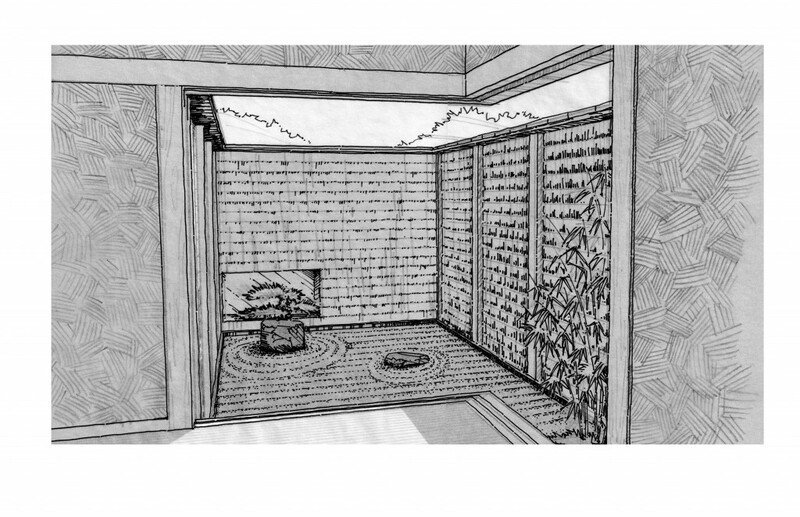 PED proposed the unique style tea house which has sensitive balance of indoor and outdoor by placing different openings for unique views of landscape.